Above: Where Baltimore’s untreated sewage eventually ends up – the Chesapeake Bay. Tuesday’s record rainfall resulted in about 3.2 million of raw sewage flowing into the harbor and a tributary, the Department of Public Works announced late today. The biggest overflow took place at the Patapsco Wastewater Treatment Plant in Fairfield, where 3 million gallons of sewage was released. The overflow began at 2:30 p.m. Tuesday and was stopped at 7:25 p.m.
A related overflow at a nearby pumping station at Patapsco Avenue and Shell Road was detected Tuesday night. It was not stopped until early Thursday morning, resulting in about 170,300 gallons running into the Patapsco River northwest of the Francis Scott Key Bridge. Another overflow took place at 1901 Falls Road (below the North Avenue Bridge) where an estimated 23,050 gallons spilled into the Jones Falls before the leak was stopped about seven hours later. The sewage overflows were a result of Tuesday’s record rainfall, according to the DPW. The volume of rain “overwhelmed” the city’s aging storm drain system, the agency said, causing rainwater to infiltrate the city’s sewer lines as well as cause localized flooding. 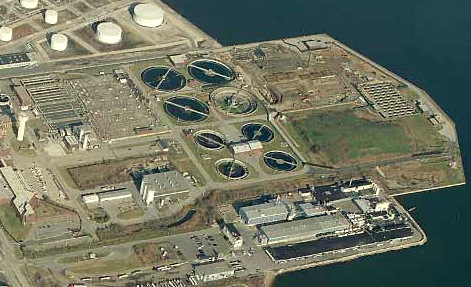 The persistent problem of sewage overflowing from Baltimore’s sewer system into the harbor and Chesapeake Bay led to a 2002 consent decree between the city, Maryland Department of the Environment (MDE) and U.S. Environmental Protection Agency. In return for not being subject to heavy fines for violating the 1972 Clean Water Act, the city agreed to rebuild sewer mains and increase the capacity of its two treatment plants at Fairfield and Back River. While work is underway to meet the terms of the decree – which is currently set to expire in two years but might be extended to 2019 and beyond – significant work still needs to be done. 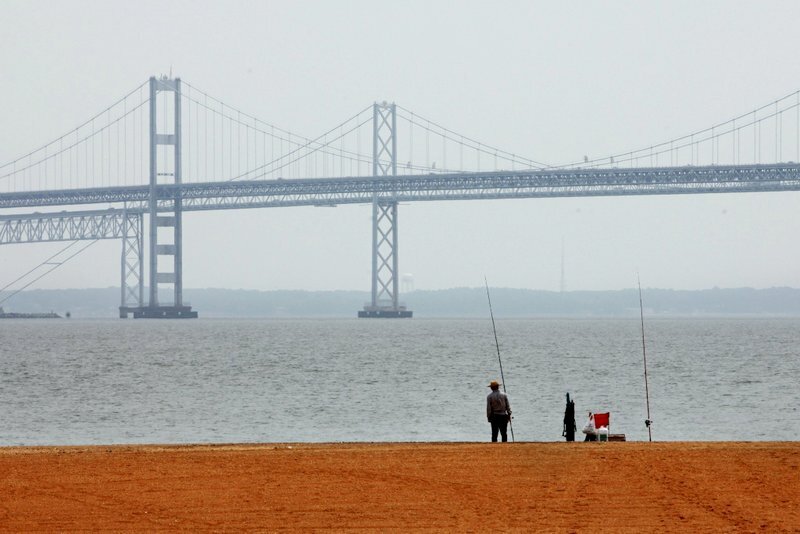 At the same time, the state has added stringent new rules to treat algae-producing nutrients now going into the Chesapeake Bay. The Patapsco plant, site of Tuesday’s sewer overflow, serves about 450,000 residents in Baltimore City, northern Anne Arundel County and parts of Howard County. It has the capacity to treat 63 million gallons of sewage a day. Tuesday’s rainfall of 6.3 inches was the second-highest recorded for a single day, eclipsed only by 7.6 inches dumped by a hurricane in 1933. DPW’s disclosure this afternoon of the sewer overflows, and earlier reports after Tuesday’s storm, appeared to meet state law requiring local jurisdictions to notify the public and MDE of any sewage discharges over 10,000 gallons within 24 hours of their detection. The Brew recently reported that DPW had waited nearly two weeks to report a sewage discharge into the Gwynns Falls. The city argued that it had obeyed the letter of the law, but MDE said it will review the incident and the city’s reporting of it.